Submission deadline – 1 August, 2016. Selected films will be announced by end of August. ფილმების მიღება გაგრძელდება 2016 წ., 1 აგვისტომდე და შერჩეული ფილმების სია გამოცხადდება აგვისტოს ბოლოს. BIAFF კინოფესტივალზე რომელიც 2015 წლის 13-20 სექტემბრის ჩათვლით გაიმართება, ბლოგერების კონკურსში მონაწილე ბლოგების შერჩევის პროცესი დასრულდა. წელს ფესტივალის სიახლეებს 22 ქართველი და უცხოელი ბლოგერი გააშუქებს. – BIAFFპრიზი – 3 ბლოგერი რომელიც ყველაზე ინტენსიურად და საინტერესოდ გააშუქებს ფესტივალს, მომავალ წელს ბათუმის საავტორო კინოფესტივალის ექსკლუზიური ბლოგერის სტატუსით ისარგებლებს და სამივე ბლოგერის ტრანსპორტირებას, ბათუმში საცხოვრებელი ადგილისა და ცხოვრების ხარჯებს კინოფესტივალი დაფარავს. ასევე ისენი მოწვეულნი იქნებიან კინოფესტივალის გახსნისა და დახურვის ცერემონიასა და ბანკეტზე. – BIAFFპრიზი – სტამბულის საერთაშორისო კინოფესტივალზე დასწრება –საუკეთესო 3 ბლოგერს BIAFF დაუფინანსებს სტამბულის კინოფესტივალზე დასწრების ხარჯებსშემდეგი პირობებით – #1 ადგილი – აკრედიტაცია, ავიაბილეთი + განთავსება(5 ღამე); #2, 3 ადგილი – აკრედიტაცია, განთავსება. განთავსება მოხდება აპარტამენტში – შესაბამისადსაჭიროა სამივე ბლოგერის ჩასვლა ერთსა და იმავე პერიოდში. პრიზით სარგებლობისთვის აუცილებელიაბლოგერებისგან სტამბულის კინოფესტივალზე დასწრების საბოლოო კონფირმაცია ფესტივალამდე2 თვით ადრე. + BIAFF 3-4ბლოგერს კინოფესტივალი გაუკეთებს კარლოვი ვარის კინოფესტივალების აკრედიტაციას- მგზავრობის ხარჯების გარეშე (როგორც წესი აკრედიტაცია მხოლოდ კინოინდუსტრიის ან პრესის წარმომადგენლებისთვის არის განკუთვნილი). – GIPA(საქართველოს საზოგადოებრივ საქმეთა ინსტიტუტი) პრიზი – გამარჯვებულ 3 ბლოგერს გადაეცემა GIPA-ს მოკლევადიანი სერტიფიცირებული სასწავლო კურსების უფასო ვაუჩერი. ინსტიტუტის მიერ წარმოდგენილი სიიდან ბლოგერს შეეძლება აირჩიოს სასურველი კურსი. – TbilisiOpen Air /AlterVision -ის 2016 წლის ფესტივალის უფასო აბონემენტები გამარჯვებული ბლოგერებისთვის :). The first edition of Alternative Wave initiates the convention of young filmmakers with alternative financing, distribution, development strategies and new creative approaches. The idea behind this first time event is, that many filmmakers do not have access to public funding or sources of financing and conventional distribution. While paradigms along the whole filmmaking and distribution process in the established film market are rapidly changing and the industry is trying to adapt, some filmmakers successfully created their own individual approach and scheme, be it forced by the lack of alternatives or by the pure ignorance of or disbelief in the standard practices. This forum wants to bring these filmmakers together to exchange ideas, practices and experiences by introducing and presenting not only the work they have done but also to talk and present future ideas. It is a lab to explore and to exchange. Also it is a place to learn from mistakes and fail. The event will take place in the week between the 15th and the 19th of September in Batumi/ Georgia on the Black Sea. Filmmakers will introduce and discuss their project amongst each other within a group and together with professionals coming from the background of crowd-funding, story-development, (online) marketing, production, distribution and immersive media. Further, each project will be in focus of each professional, to hands-on discuss potential further story-development, new approaches, the potential funding capacity and marketing strategies. Case-studies and Master classes will enrich the schedule and will be open to all interested industry members. Alternative Wave organizers and moderators: Tinatin Kajrishvili, Lasha Khalvashi, Zviad Eliziani, Tobias Pausinger, Gülin Üstün. Tutors: Paul Tyler, Arne Ludwig, Duygu Tarhan, Tobias Pausinger, Gülin Üstün. Case-studies by: Helen Yanovsky /Israel/ and Siegried /France/. Alternative Wave is financed by BIAFF (Batumi Art-house International Film Festival), Ministry of Culture of Adjara and Georgian National Film Center. 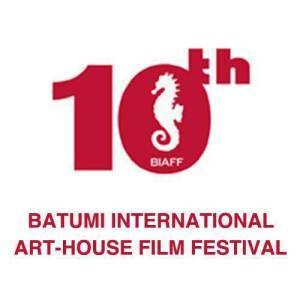 Alternative Wave will take place at Leogrand Hotel (Batumi), official partner hotel of BIAFF festival. ბათუმის საავტორო ფილმების მე-10 საერთაშორისო კინოფესტივალისმენეჯმენტმა დაასრულა ფილმების შერჩევა 2015 წლის პროგრამისთვის. ბათუმის კინოფესტივალი ტარდება 2015 წლის 13-20 სექტემბერს. ბათუმის საერთაშორისო კინოფესტივალი 2006 წელს დაარსდა.კინოფესტივალის ორგანიზატორი – ბათუმის ხელოვანთა სახლი “არგანი”, ოფიციალური პარტნიორი – ქ. ბათუმის მერია. 1. „ძმა დეჟანი“,ბაკურ ბაკურაძე, რუსეთი / სერბეთი, 2015წ. 113 წთ. 2. ,,ქიმია“, ბარტეკ პროკოპოვიჩი, პოლონეთი,2015, 105 წთ. 3. „მუსტანგი“, დენიზ გამზე ერგიუვენი, საფრანგეთი / გერმანია / თურქეთი /კატარი, 2015წ. 97 წთ. 4. „პაწაწინა“, ოლე ქრისტიან მადსენი, დანია / ხორვატია / შვედეთი / არგენტინა,2014წ. 107 წთ. 5. „ელექტრო ღრუბლების ქვეშ“, ალექსეი გერმან უმცროსი, რუსეთი / უკრაინა / პოლონეთი,2015წ. 138 წთ. 6. „მშვიდობა მხოლოდ გვესიზმრება“, შარუნას ბარტასი, ლიტვა / საფრანგეთი / რუსეთი,2015წ. 107 წთ. 7. „სიმღერათა სიმღერა“, ევა ნეიმანი, უკრაინა,2015წ. 76 წთ. 8. ჯეიმზ უაიტი, ჯოშ მონდი, აშშ,2015წ. 86 წთ. 9. მაზარ შარიფი, აბდულ ბარზიდეჰი, ირანი,2015წ. 10. თიკუნი, ავიშაი შივანი, ისრაელი,2015წ. 120 წთ.